Canggu is a village in Badung Bali, has a coast with a length of 10 km in the south of Bali, Indonesia. Canggu village is located within the sub-district of North Kuta, Badung regency of Bali, Indonesia. Located about 18 km from the city of Denpasar, Canggu Beach can be reached 45 minutes drive from Bali's Ngurah Rai Airport. 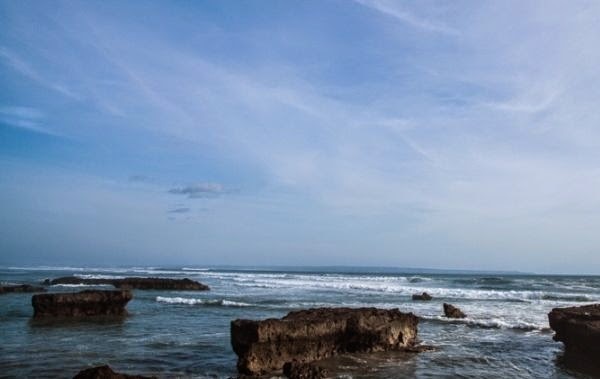 From Kuta Beach, Canggu Beach is only about 20 minutes away drive to the north until arriving at the village Krobokan. From Krobokan turn left up through the road with panoramic paddies once beautiful coastline. Canggu is located approximately 10 kilometers north of downtown Kuta. Traveled in Canggu will get a feel of calm for cultural activity, dinner, and relax on the beach. The main street is Jalan Batu Bolong, Jalan Padang Linjong, Jalan Batu Mejan and Jalan Tanah Barak. Along Jalan Batu Bolong are many temples, Pura Merajapati, and burial Pipitan. Along the beach there are two main temples, Pura Batu Bolong and Pura Batu mejan. Canggu is now evolving into a new tourist destination in Bali. Canggu is also a major goal by tuirs from Australia who had been bored with the Kuta and Seminyak. Construction of accommodation facilities started in working on by investors. 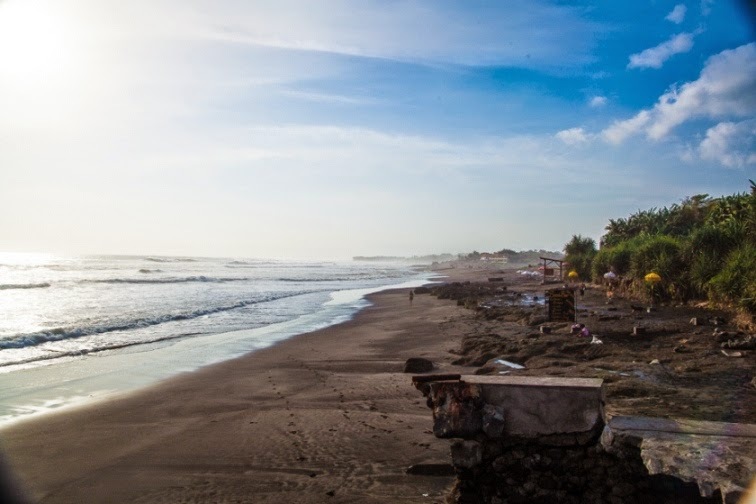 Canggu will likely turn into a dense and crowded area with villas and new hotels, such as Kuta and Seminyak. There are a number of hotels, villas, resorts, restaurants, and cafes are built for comfort. Watch the sunset on the beach is also an attraction itself. Do not forget to taste the corn while watching the sunset. Canggu is an agricultural area that much of this land is agricultural land. Residents of Canggu work to be farmers who produce rice. Some people also become a fisherman, and can be in the know by visiting the beach with boats in the parking lot at the beach. As the growing popularity Canggu Beach among local and international tourists, a number of villas and luxury hotels are now constructed. Canggu village has a beautiful beach which is also called Canggu Beach. On May 30, 2013, CNN (Cable News Network) put three beaches in Indonesia are among the 100 best beaches from around the world in the "World's 100 Best Beaches". One of the best beaches are Canggu Beach, Bali Indonesia, ranks 39th. Canggu Beach is one that is worth a visit and no less beautiful and attractive when compared to other beaches on the island of Bali. Canggu Beach is a beach with black sand. 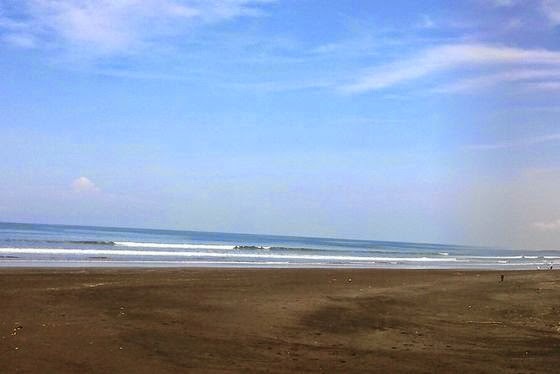 Although the black sand, but the beauty of the panorama is not inferior to other beaches in the area of South Bali. The beach is located not far from Legian Beach, or lying North of Kuta Beach. If laced with walking, from Kuta Beach to the north past the Legian and Seminyak, it will be up at Canggu Beach. Sea waves at Canggu Beach is great for surfing. You could say Canggu Beach now started receiving tourists mainly local and international surfers. In fact, in 2004, once held the Indonesian Surfing Championship (ISC) on this beach. Besides being a great sea waves, of course, the beautiful panorama of the beach is also another reason. Uniquely, the opposite coast can enjoy views of the vast expanse of rice fields with a group of birds that fly. 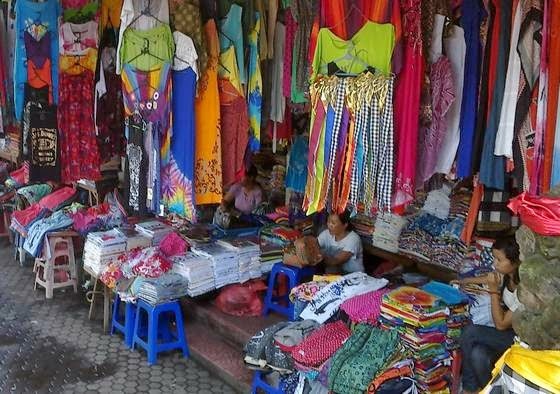 If want to shop, there are lots of clothing and souvenir shops in the direction of the entrance and exit of the Canggu Beach. But there is nothing unique about peroduk sold by traders around this beach. Similar to the type of merchandise sold at attractions elsewhere. Because all of the products supplied by the suppliers of the same. Along the coast there are several cafes that provide processed Sea food dish, and a variety of beverages. You can sit in rows of seats on the beach to enjoy the food while watching the panorama of the coast.